A fun, and interesting course with Tom as your tutor. During your course, you will learn to make 2 different types of cake. Simply choose from the following list and call us to book! 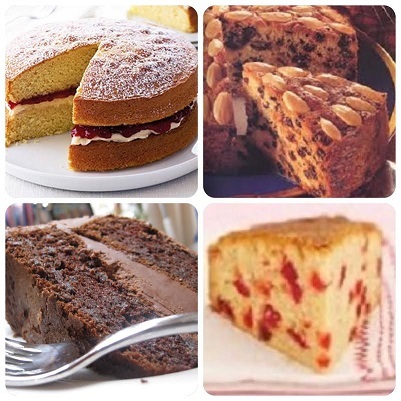 Victoria Sandwich Cake, Chocolate Fudge Cake, Coffee & Walnut Cake, Cupcakes, Battenburg Cake, Muffins, Fruit Cake, Traybake Cakes, Cherry Cake, Swiss roll, Coconut Cake, Dundee Cake or how to make perfect Genoese ready to use in wedding, birthday & novelty cakes. If there is anything else you would like to learn to bake that is not shown, please contact us as we are sure we can help and will be able to arrange a course to suit you. Be the first to review “Classic Cake” Click here to cancel reply.